Osborne A., Farrell J., Dearman R.J., MacIver K., Naisbitt D.J., Moots R.J., Edwards S.W., Goebel A. Cutaneous Immunopathology of Longstanding Complex Regional Pain Syndrome. European Journal of Pain 2015 (in press). Goebel A., Shenker N., Padfield N., et al. Low-dose Intravenous Immunoglobulin Treatment for Complex Regional Pain Syndrome – Study Protocol. Trials 2014 (e-pub). Johnson S., Ayling H., Sharma M., Goebel A. External Non Invasive Peripheral Nerve Stimulation Treatment of Neuropathic Pain, a Prospective Audit. Neuromodulation 2014 (e-pub). 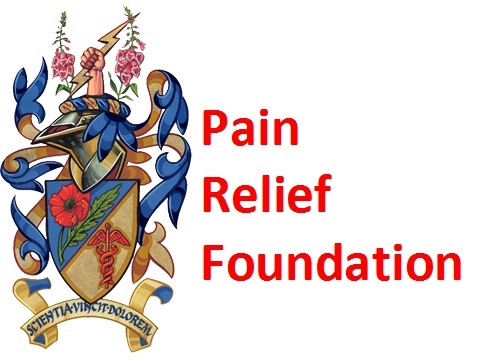 Shenker N., Goebel A., Rockett M., Batchelor J., Jones GT., Parker R., Williams A., McCabe C. Establishing the Characteristics for Patients with Complex Regional Pain Syndrome: The Value of the CRPS-UK Registry. British Journal of Pain 2015 (in press). Aradillas E., Schwartzman R.J., Grothusen J.R., Goebel A., Alexander G.M. Plasma exchange therapy in patients with Complex Regional Pain Syndrome. Pain Physician 2015, (in press). Goebel A., Jayaseelan A., Bhagwat K., Gupta M., Frank B. Racemic Ketamine 4.5 day Infusion for the treatment of longstanding Complex Regional Pain Syndrome. British Journal of Anaesthesia 2015 (letter, in press). Mbizvo G., Nolan S., Nurmikko T., Goebel A. Placebo responses in longstanding Complex Regional Pain Syndrome: a systematic review and meta-analysis. Journal of Pain 2015 (in press).